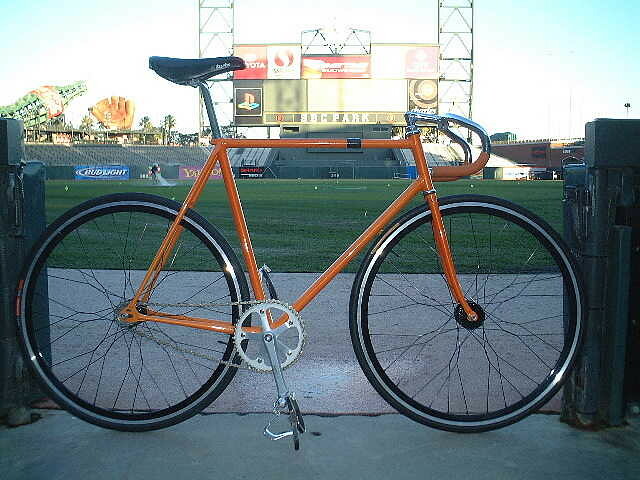 Hanserelli's Team Miyata. powder coated sparkly "Giants" orange. she's got: black Phil's laced "ol'- school-bmx-style" with black spokes to Velocity deep v's. Sugino 75 crank, Phil cog (49/17). Nitto post, stem, and bars. Turbo saddle, geometry is super tight and the ride is fantastic. 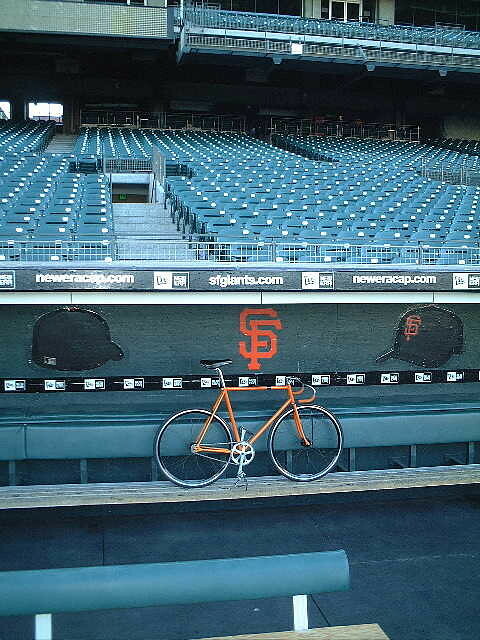 From a photo shoot we did five years ago (back when the Giants played at SBC). Low res cause I lost the originals in the Great Crash of '09. I've been enjoying the series. The Giants play ball a little like the Twins. Good solid baseball, playing within themselves. And they haven't choked. The difference. well. 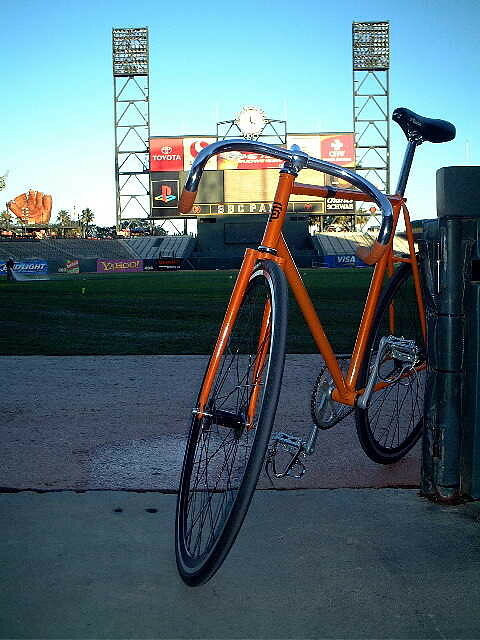 I like that orange bike. and, yes. the video. can't WAIT for today's game. so awesomeeeeeee --- go SF! !